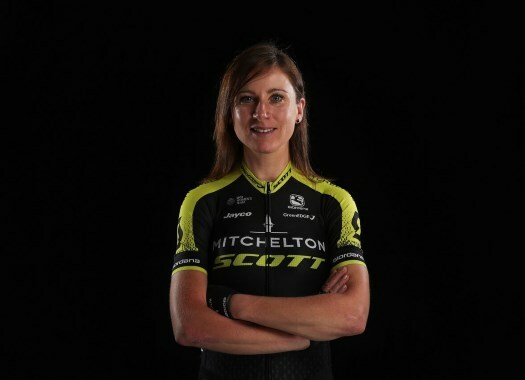 Annemiek van Vleuten (Mitchelton-Scott) has stepped on the highest spot of the podium at the World Championships individual time trial for the second time in a row on a day dominated by Dutch riders. Van Vleuten was the last rider to start at the time trial competition as the reigning champion and completed the 27.8-kilometre course in 34 minutes and 25 seconds. The rider beat her fellow countrywomen Anna van der Breggen and Ellen van Dijk by 30 seconds and one minute and 25 seconds respectively. "There’s not too many times someone has won twice the time trial world championships," said the World ITT champion. "It added a bit of pressure but I also felt the pressure last year so it was no different. If you’re here starting, you just want to win the jersey and I know how nice it is to ride and train in a beautiful jersey. "The hard thing about this time trial was that it was uphill but in the descent, you didn’t have recovery so you also needed to push. So, actually, your legs are screaming to stop pedalling in the descents but you have to keep on going otherwise you lose time. It made it almost a flat time trial with hills. "I know I took some time in the first part but then I also felt I went out pretty fast. In the national championships, I went out too slow so I felt like I had to start fast and then die until the end, which is not nice to do. I was also a little in trouble in the second part, but that’s how you know you had a good time trial." The rider would like to complete this successful 2018 season, in which she has taken the final victories at the Boels Rental Ladies Tour, the Giro Rosa and La Course by Le Tour de France, with a win at the road race. "The next goal is Saturday," van Vleuten said. "First, I am going to enjoy this one, but not for too long because Saturday is a beautiful course and I really look forward to racing on it with our team."